One of the building blocks of artistic practice is the fact that it is a form of expression, and artists have been using it to explore the depths of both art and their own self through such display. Some, however, have seen this freedom as fitting for a more practical use, applying its methods to real-life issues. 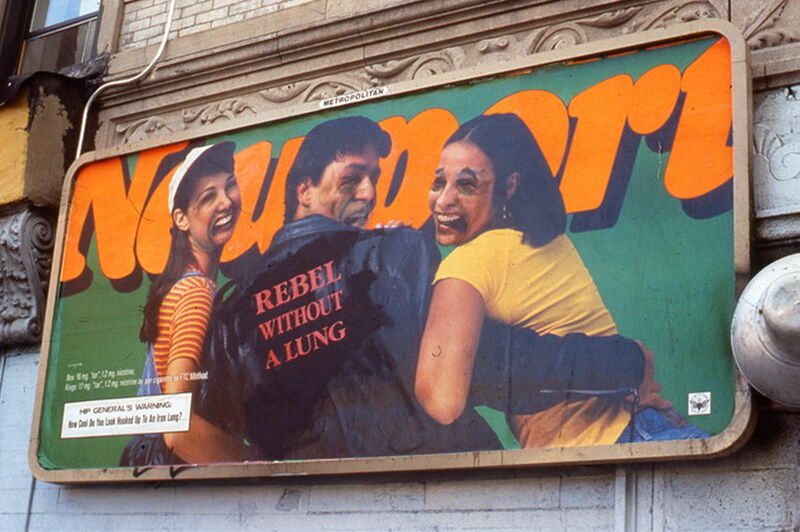 Although it may be confused with artistic appropriation or acts of vandalism, there is no more direct way of opposing consumerist social movements than with “Culture jamming”, and the artist who helped bring it to New York is Jorge Rodriguez-Gerada. With his practice dealing with such, and many other wide-known social questions and concerns, his art speaks to art-lovers as much as those with no interest in it. Jorge Rodriguez-Gerada faced the ethnic-based social issues even as a child. Having moved from Cuba to the US in 1970, he was one of the first Hispanics to be a part of the New Jersey local schooling system, and he was bullied for it. He wasn’t alone in this struggle, as many other immigrant children suffered the same daily troubles which influenced his perception on the world as a person and as an artist. This sort of impact can truly affect the forming of person’s identity, and it fascinated Rodriguez-Gerada to the point where he wanted to make a difference. Studying at the Jersey City State College, he met a few like-minded with whom he formed the Artflux group, producing controversial works that targeted social issues. 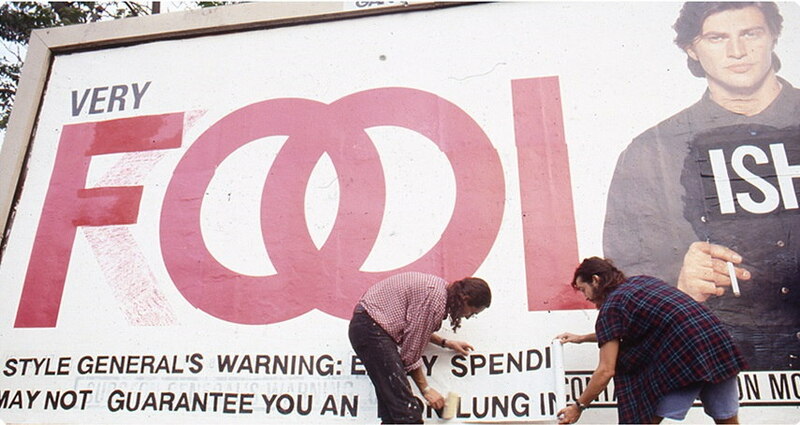 The group started out with Culture jamming, altering billboards of health-damaging products, like alcohol and cigarettes, which were being presented in disproportional numbers to the public in poor regions. 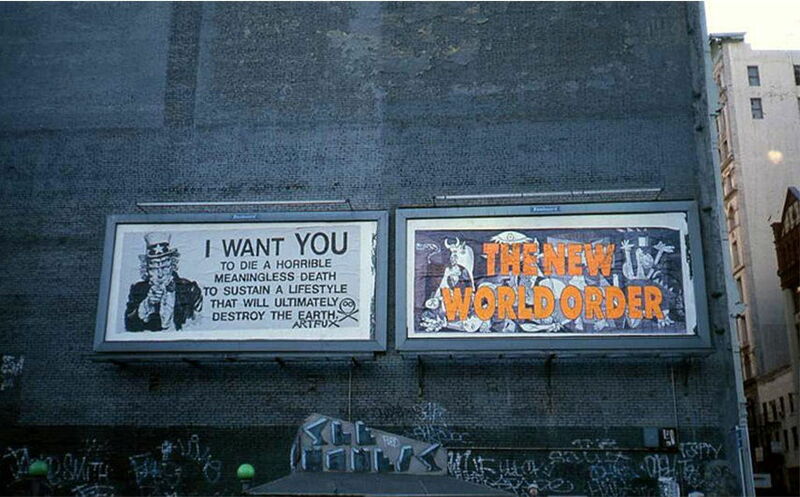 Naturally, the communities targeted by these adverts didn’t like the attempt either and had protested by painting some of the ads in white, but Rodriguez-Gerada sought a more impactful way of getting the message across. They thought of a clever way of solving the issue, and Artflux started using the billboards for ads of their own. By making clever interventions, they would reverse the meaning of the ad while keeping its legitimacy and targeting the same audience the original was meant for. Modifications came in various witty forms: morphing the faces of models on cigarette ads to look diseased, changing the messages to the likes of “Black and Latinos are the prime scapegoats for illegal drugs, and the prime target for legal ones,” among others. They all served the purpose of backlashing the ads against the corporations that produced them, creating a form of dialogue from the marketing instead of a one-way statement with Rodriguez-Gerada’s artistic portrayal. However, the corporations weren’t sitting idle either, and the fame that this movement acquired over time would eventually turn against it. Rejecting the idea of passively accepting the marketing imposed by the companies simply because it can be found in public spaces, the Culture jamming movement gained popularity not only with the public that observed it but with the press that covered more and more of its appearances. 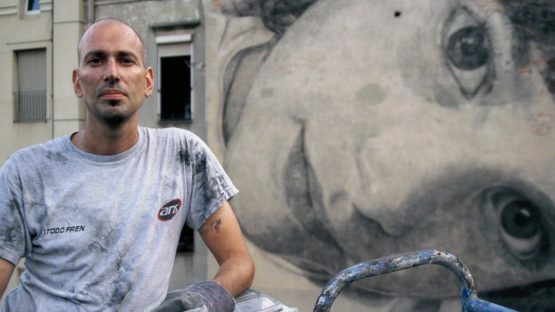 Jorge Rodriguez-Gerada started working more as a solo artist, and had, as such, used the pseudonym Artjammer in his work. He spread his practice to more than just tobacco and alcohol and started covering consumerism as a whole, which led to an even wider success. It came to a point where the acknowledgment the movement received undermined its own purpose and the ads and companies that were covered in this way gained in popularity because of it. Paradoxically, the advertisers themselves would jam their own ads, absorbing the aesthetics of art into their marketing. The movement ended up, in some cases, doing the opposite of what it was created for, and Rodriguez-Gerada had moved on to a different type of art. Starting out the new century and millennia, Jorge Rodriguez-Gerada began working on his Identity Series in which he merges memory, place and identity. He still remained on the subject of social issues, this time approaching the questions of controlling the public spaces and what kind of a role art plays in it. 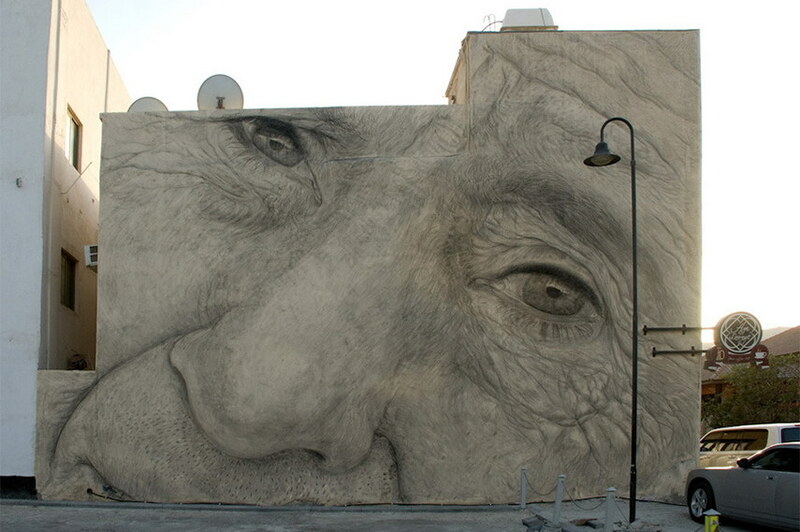 By depicting a face of a local citizen in an ad-like size and portrayal, the artist probes the “allowance” of art in public domains and whom it is meant for. He keeps his work out of the confines of marketing by drawing them with charcoal, giving them ephemeral and fading properties that negate the imposition of the space itself. In addition, Rodriguez-Gerada had done a complementary series titled Identity Composite Series that is based on an algorithm performing 3D facial scans in a specific city. Creating a composite face of the demographics, the artist had created Identity Composites for Barcelona in 2009 and Badalona in 2010. Moving the boundaries of art and presenting social issues on a whole new scale, Jorge Rodriguez-Gerada created some spectacular works since 2008 that are literally so large that they are best viewed from the air, even space. His latest works large enough to be seen via Google Earth, the terrestrial series involves pieces of enormous size like Expectation from 2008, Mama Cash from 2012, Wish from 2013, and others, some of which required 2,000 tons of soil, sand, and enormous amounts of other constructing materials. He keeps all of the pieces ephemeral and their natural composition fades in time, leaving no harmful effects on the land. The artist had used this quality to portray the possible “loss of hope with time” in his Expectation piece alluding to the Hope artwork of President Obama, and all the other works in this series avert attention to current issues on a global scale. Jorge Rodriguez-Gerada may have started out as an artist and may be considered an artist, but his artwork represents more than just art. Over the years, his work managed to bring people together, create communities that not only point out the issues present in the society but are an example themselves of how they can be solved. 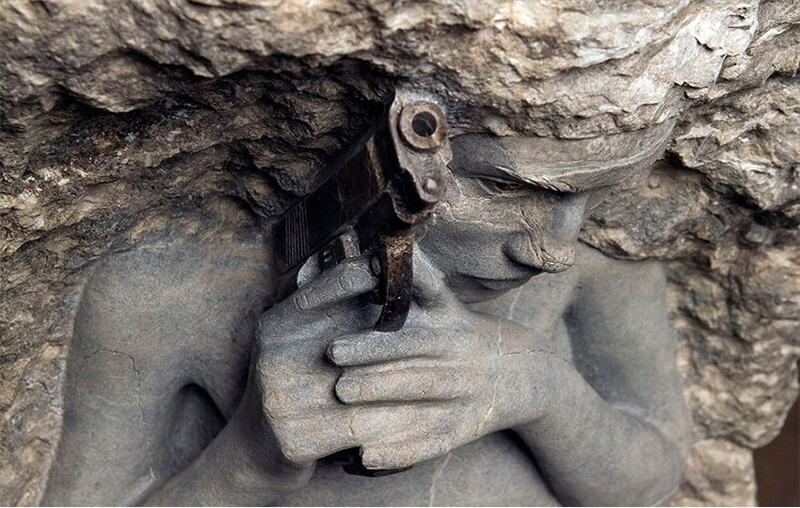 His monumental art touches upon the global identity and concerns, representing (quite literally) the reality of our world. The artist is represented by Galerie Mathgoth in Paris, France, N2 Galleria in Barcelona, Spain and St. Art Gallery in Stampersgat, The Netherlands. Jorge Rodriguez-Gerada lives New York City and Barcelona.